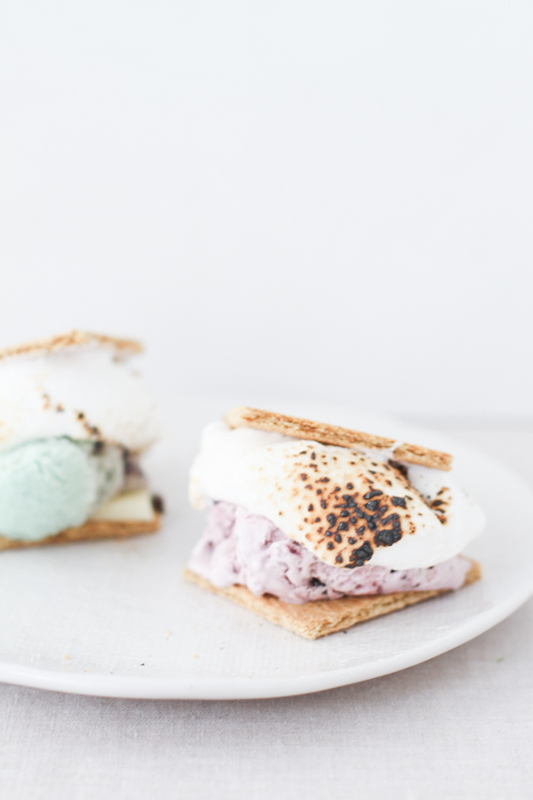 So apparently, I missed the boat on national s’more day over the weekend, but I’m not letting that stop me from posting today’s DIY. It’s still summer and I can s’more if I want to. 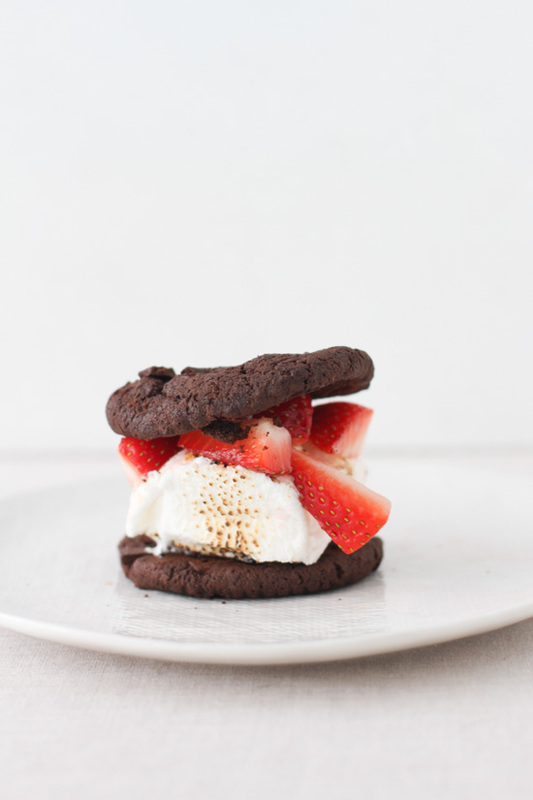 So…I made these little s’more ice cream sandwiches to channel my inner summer camp kid, while simultaneously appeasing my adult self. 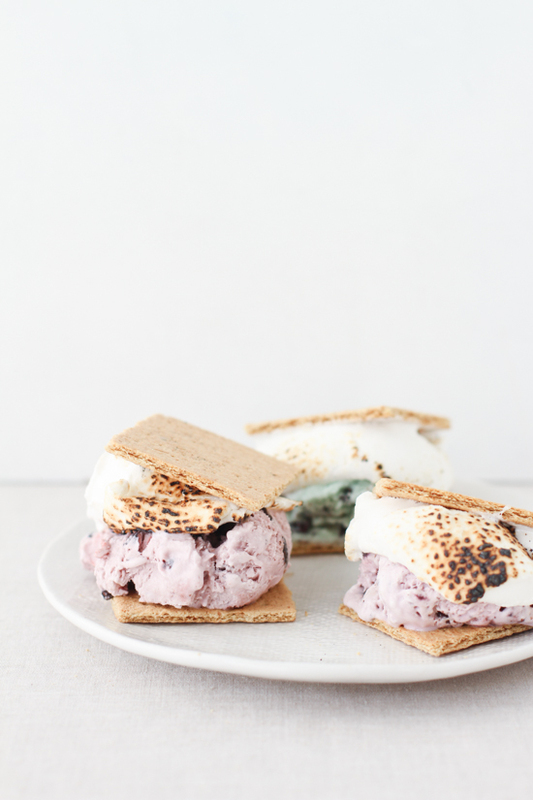 Plus, it’s too hot outside not have something cold to go with that warm toasted marshmallow and melty chocolate. Want to make your own? 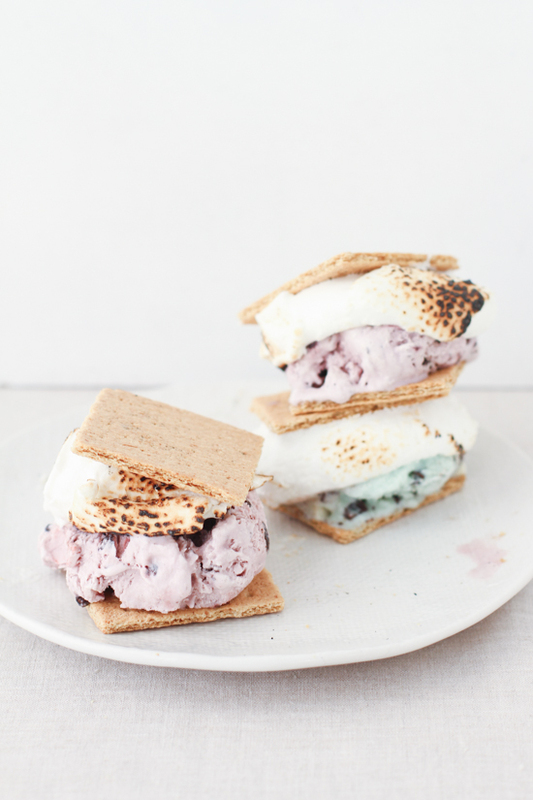 How-To: I know you don’t need a tutorial for s’mores. But I’ll just share how I made mine anyway. 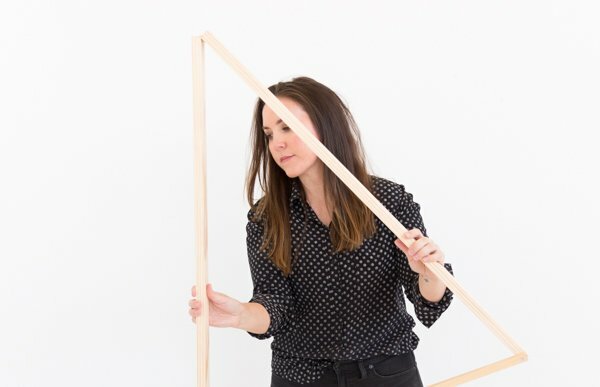 Wouldn’t be a DIY without instructions, right? Toast the marshmallows over a flame (campfire or a creme brÃ»lÃ©e torch) to make them warm and a little bit melty. 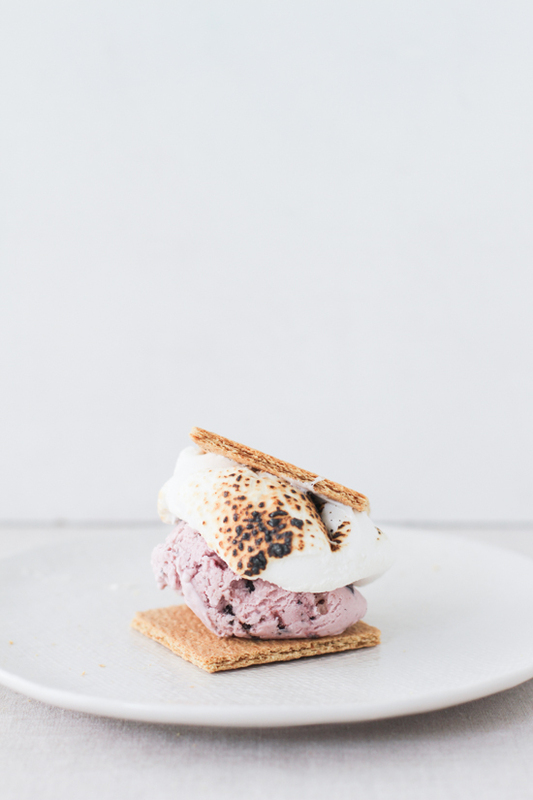 Put a piece of chocolate onto a graham cracker, add the marshmallow on top, and set aside. Then put a large scoop of ice cream onto a second graham cracker. And put the first cracker onto the second to create a sandwich. These are a fun treat for a backyard dinner party with friends or even a kid’s birthday party. But let’s be real. Anytime toasted marshmallows are involved, I’m game. Regardless of the occasion. What about you though? Think you’ll give these a try? 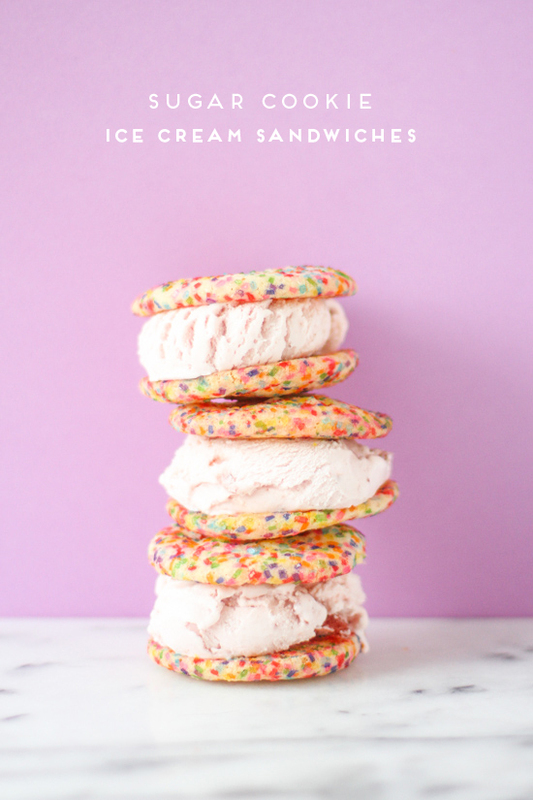 Want more ice cream sandwich ideas? Head over here. next post >Planter Banter. 9 Reasons Why Living with Plants is Kind of the Best. 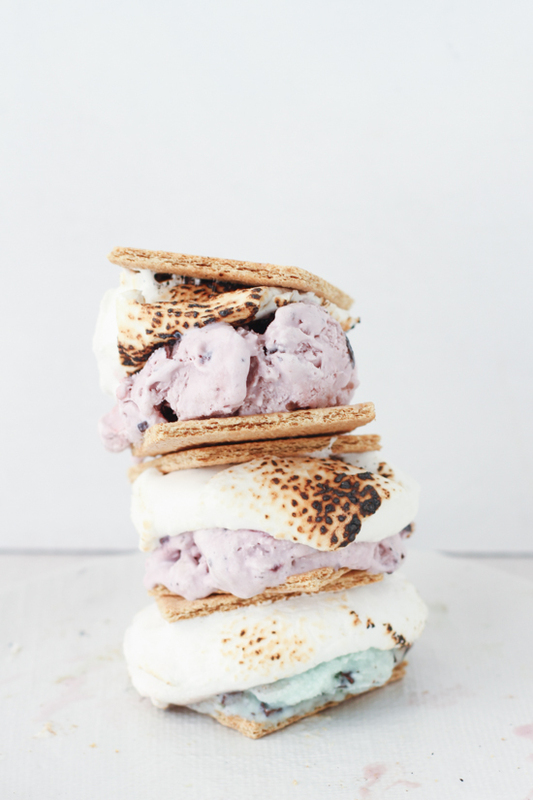 We’ve put many things on s’mores, peanut butter , Reeses, Oreos, etc., but never ice cream! This looks like it trumps them all! They’re pretty delicious. By the way, I just tried Reese’s on s’mores the other day and it was so good. Haven’t tried oreros though. Thanks Beth. Definitely give it a try. ummm, you’re a genius! why didn’t I think of this? definitely pinning this for our next bonfire. Thanks Arielle. This would be a perfect bonfire dessert. How did I miss national s’mores day?! I’m definitely having a bonfire tomorrow.. and enough s’mores to make up for the loss. Right? It totally snuck right by me too. Funny that you mention that Marlen. Because I actually tested that…and you’re right. They taste like gas. It’s weird. Which is why I recommend either a campfire or those little creme brÃ»lÃ©e torches. Those things are handy! Ohhhh, these look SO GOOD! And I wish I’d seen this last night when my 3 year old asked for s’mores for her after-dinner treat. Definitely stashing this in the dessert idea reserve! YUM. This looks like the best summer treat so far! I’m defiantly going to give these a try!